TVI : What is an Integrated Marketing Audit? Get TVI's latest posts delivered to you via RSS or email. Innovation: Where Do Ideas Come From? What is an Integrated Marketing Audit? An integrated marketing plan is a detailed plan, tied to your sales objectives, which takes into account the various activities and media buys that your marketing team or agency will manage across channels. Digital audits are the first part of TVI’s Research phase. The aim is to get a clear picture of a company’s internal state of digital marketing. Audits can include an analysis of what your company is doing with regards to SEO, SEM, mobile, user experience, websites, content, social media, email, creative, and CRM systems. Let’s look at a few of the possible audits. • There is a business or Knowledge Graph listing on the sidebar? How accurate is the information and what seems to be missing? • Are there any listing hurting your brand? Crawl your website to determine your on-page SEO performance. There are many free tools out there to help you with this for example SEO Quake, a highly rated free plug-in or Moz. What are the sites linking to your website? Are they high or low value? Are the keywords linking to your content aligned with the content your prospects and customers want to find? Are old links broken? How are you performing on organic and paid keywords? Are these keywords ones that actually drive you leads or customers? Is there a real plan in place that is aligned with your customer sales journey and pains, or do you rank for a set of keywords that you think your customers might be interested in but don’t know for sure? Facebook, Instagram, Twitter, YouTube, Google+ are a few of the main platforms. If you are not using these platform you might want to revisit your decision to see if the platform is relevant to your brand. Do users like and comment on your post? Do you respond back? Are you asking questions? Which type of posts (i.e: photos, videos, texts) are getting most engagement? Although each social platform is essentially different, your branding and tone across the different platforms should be consistent. Are you using the same profile picture? Is your name and description across all platforms consistent? If different people are handling different platforms, is a branding guide in place to help with consistent tone and messaging? Review all social campaigns in the past to make sure the ROI on the past campaigns are positive. What are your conversion rates on boosted posts and total spend? Or if you can’t calculate ROI in terms of sales can you calculate in terms of marketing metrics such as Cost Per Lead or Cost Per Acquisition of a new customer? Is the content of high quality with substantial depth? If content is not opinion based, has the author used research and used facts to support his/her statements? Is new content published regularly across platforms? Who manages the editing and publication process? Are the workflows in place? Are content topics relevant to the website, industry, and most importantly your target audience? Is the content around topics your prospects search for or care to read? How do you determine relevance? Is the content encouraging discussion or social sharing? Is content easy to read and digest? Are longer articles or large blocks of text broken up by the appropriate use of sections, subheaders, paragraphs, and bullets? Is the site designed to make it easy to get to useful content? Are navigation menus too complex or poorly architected? Is website content free of spelling and grammar errors? Is the content written appropriately so the target audience can understand it? Does the website perform well across all major browsers and operating systems? Use Browserstack to test. •Which of the emails have the highest open rate? What is the subject of that email? What day and time was the email sent? •Which of the emails have the lowest open rate? What is the subject of that email? What day and time was the email sent? •On average, what is your current open rate and what are the conversion rates? •Are you segmenting your email list? If yes, does the segmentation make sense? •Do you have an email production calendar tied to your content strategy or is it opportunistic? 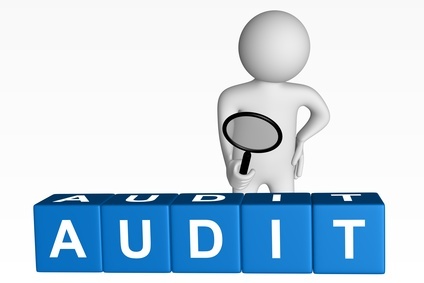 Audits go much deeper and can be varied depending on the channels you currently market through. They are the first step in understanding what you currently do. Next step in the integrated media planning process is understanding what your industry, competitors and customers do – everything external to the company. With an internal and external analysis you can move forward to developing your integrated marketing strategy and campaigns.